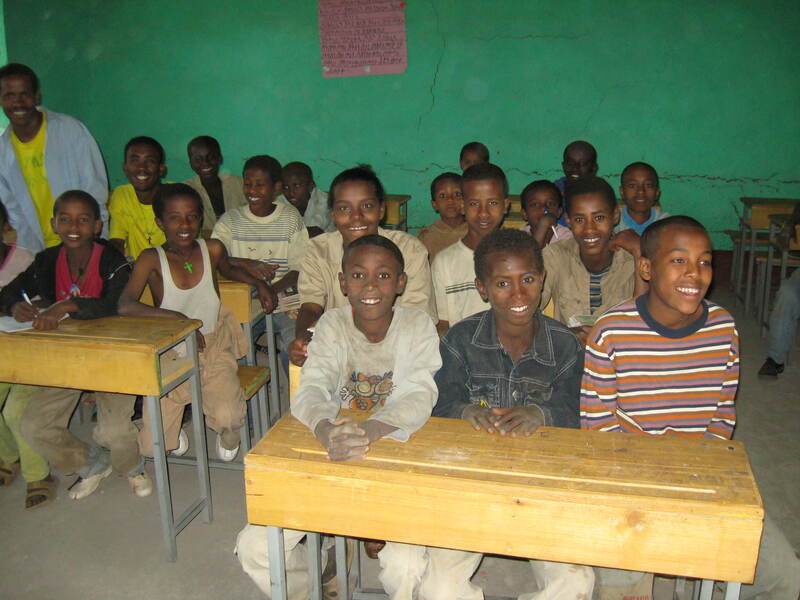 A New Library for Arbatu Ensesa School, Gondar! 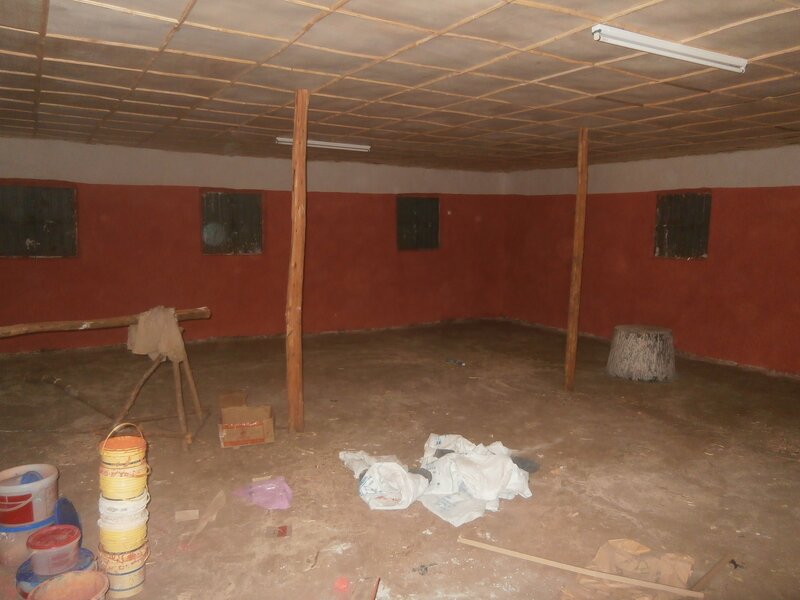 Home » Blog » A New Library for Arbatu Ensesa School, Gondar! 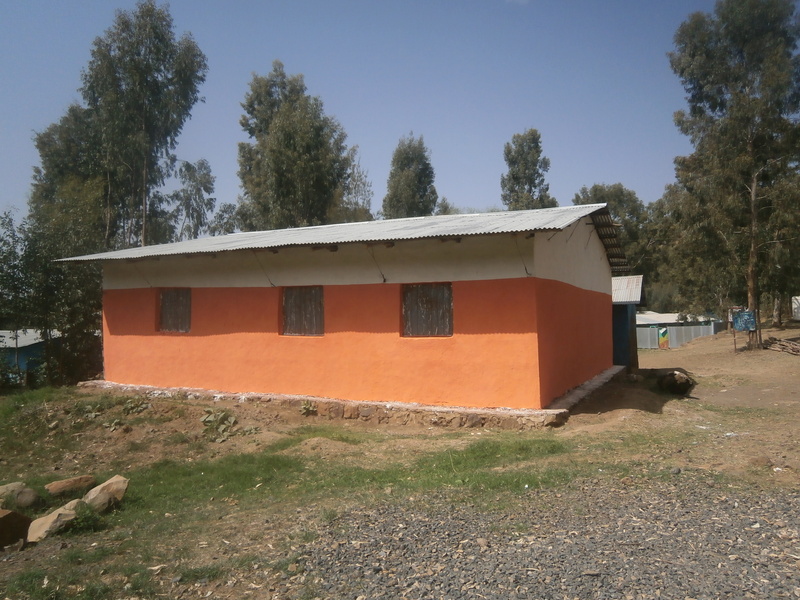 Link Ethiopia has just finished a project of construction of a brand new library building for Arbatu Ensasa School in Gondar, Northern Ethiopia. The new library replaced the small, ill-equipped older facility at the school, which was very inadequate for keeping up with the demand of the schools and students, and failed to match the school’s growing ambitions for improving the reading and learning ability of their student body. The beautiful new library in all its glory! The construction of this library, as well as other important projects, has been possible thanks to the supporters of the Link Ethiopia Child Sponsorship Programme. This programme is not only supporting one child’s education; it is helping to formulate a stronger foundation for a whole school. To help foster a stronger, more aware and more inquisitive group of young people that one day will take active part in the community and in the broader national and global system. This new library also fits in the broader project focus we currently have at Link Ethiopia with our Literacy and Library project, in partnership with the Waterloo Foundation. You can read more about this project here. Previous PostSustainable development? World Environment Day 2015. Next PostWhat does Cultural Diversity mean at Link Ethiopia?